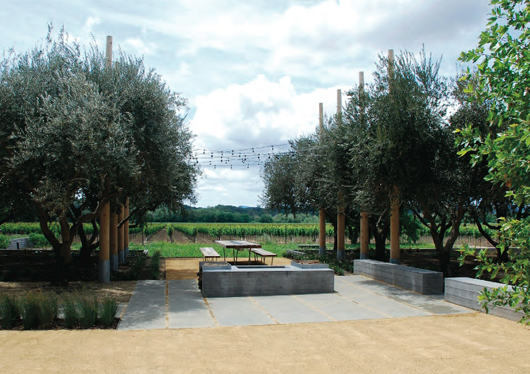 The Medlock Ames winery in Healdsburg, CA features a beautiful kitchen garden designed by the landscape architecture firm Nelson, Byrd, Woltz. 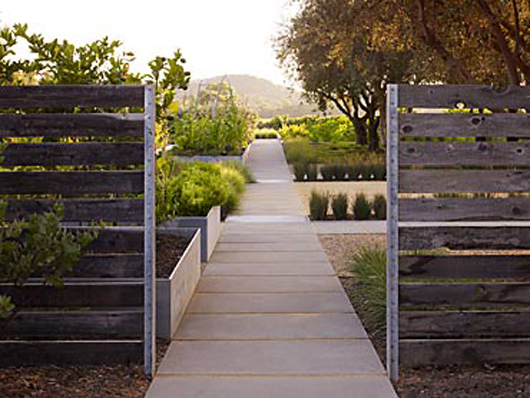 A restrained palette and simple lines create a series of serene outdoor rooms, with views to the vineyards beyond. 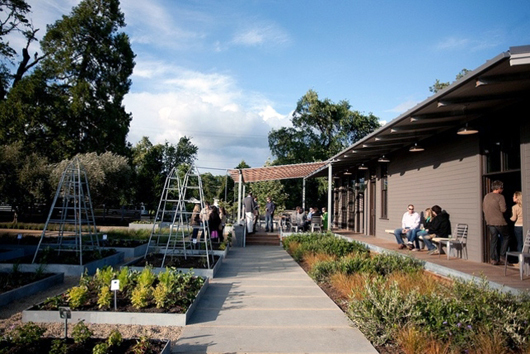 The raised beds in the kitchen garden are galvanized steel, harmonizing with the cools greys in the concrete walks and walls, and the building itself. 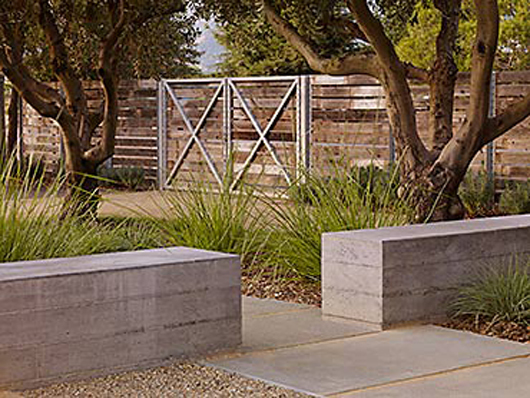 Decomposed granite contrasts in warm fields and bands on the ground plane. 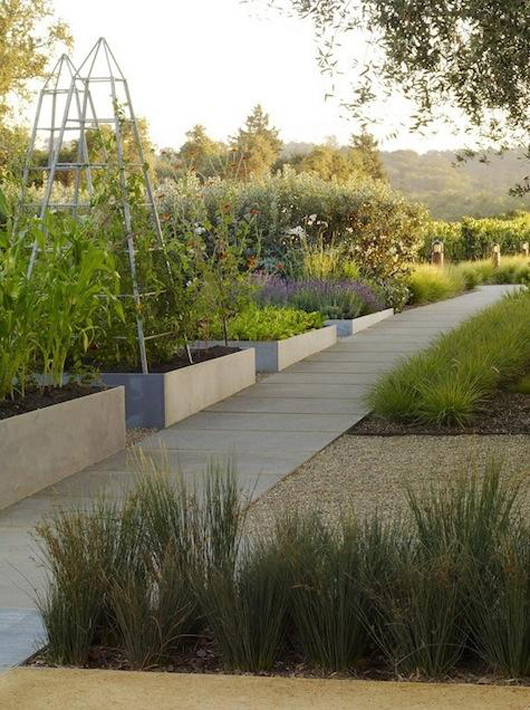 Against these neutrals the herbs and edible plants hum with color, taking center stage.In this way the garden is almost cinematic, with a fuzzy background and a brilliant foreground. 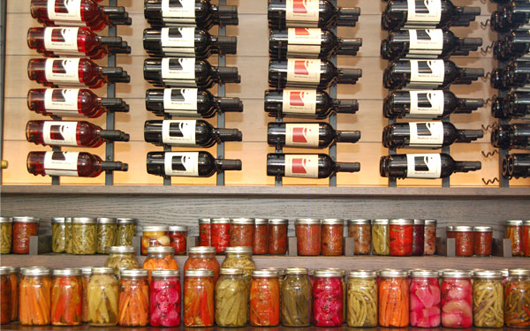 The plants in the kitchen garden garnish drinks at the bar, and are pickled for sale in the gift shop. The surrounding landscape of grasses treats stormwater run-off on its way to the nearyby creek, and rows of heritage oaks frame the whole. Looking forward to seeing it in person soon!